Because they’re not paying any of the original cast members to come back. None! “We love the Futurama voice performers and absolutely wanted to use them, but unfortunately, we could not meet their salary demands” said Fox in a statement that helps explain why America’s Most Wanted and Cops is still on the air. This all reminds me of that time Homer voiced Poochie on The Itchy and Scratchy and Poochie Show and refused to say the dialogue written for him when they wanted to kill of his character so they just got an executive to dub in “I have to go now, my home planet needs me” and then the animation cell lifts out of screen and it says: “Note: Poochie died on the way back to his home planet” and what it reminds me is that The Simpsons is better than Futurama. 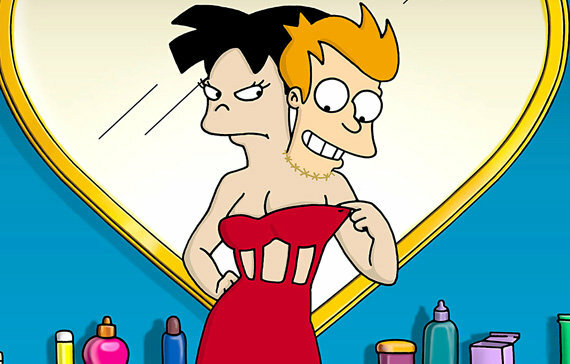 The most memorable Futurama moment for me is that time Fox replaced all the actors.